One of the most common failures on all BMWs with the N54 (and early N55) engine is the high-pressure fuel pump, regularly referred to as the HPFP. When the HPFP starts to fail, it's common for the car to go into limp mode, and in severe cases can leave you stranded waiting for a tow. BMW has had multiple recalls for this HPFP on the N54. This particular HPFP is a two-piece assembly with fuel going to one half and lubrication to the other half. The o-ring that seals the two halves together degrades over time causing a loss in pressure. After re-engineering and multiple revisions, the issue seems to have been resolved with the latest version of this fuel pump. Our HPFP kit comes with everything you need to replace your failing unit. 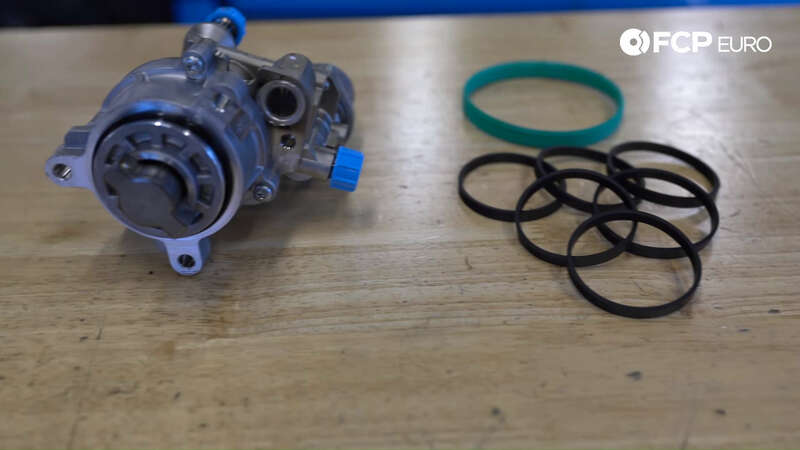 Knowing that you need to remove the intake manifold and throttle body to get this job done, we include an intake manifold gasket set and a new throttle body gasket. If you have to remove them, you might as well replace the gaskets while you're in there. In this Really Quick Product Review, Gareth Foley, our BMW Catalog Manager, explains where the HPFP is located, how it fails, and what you need to do to replace it. If you like this Really Quick Product Review, subscribe and check back here for regular releases in the future.